Albariño is one of Spain’s most popular white wines. The Albariño grape is grown in the northwestern area of Spain in the Rias Baixas wine region in Galacia. The ideal growing conditions for Albariño is a cool climate. That’s exactly what the Atlantic Ocean coast provides for Rias Baixas. Albariño was once an obscure wine in the U.S. That has all changed as many Spanish Albariño wine are imported into the U.S. In California, many wineries that have acreage in cool climate areas are producing an Albariño. For most, the Spanish Albariño wines are better and much less expensive than the California versions. Wine producers in Oregon are also making excellent tasting Albariño wines. Most often, Albariño grapes are fermented and aged in stainless steel tanks. 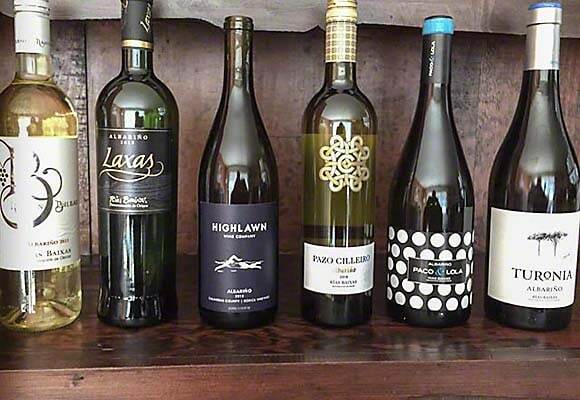 Albariño wines are refreshing wines, dry and crisp. They have a lovely citrus component and sometimes peach and other tropical fruit. They are easy drinking wines and perfect for the appetizer hour. In Spain, seafood of all sorts is a great food match with Albariño.